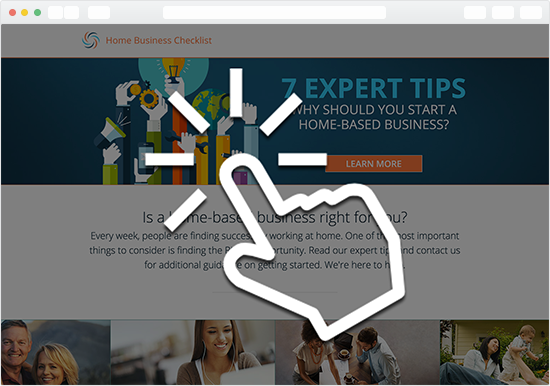 Receive qualified visitors to your home-based business website? This highly targeted Traffic will deliver a steady stream of quality visitors to your website. No need to be a Traffic expert. Each visitor is filtered through our professional home business portal and includes IP address and time stamp. Real Time Traffic (RTT) is not a lead. It's not a redirect. RTT is 100% custom traffic straight to your website or landing page. RTT is you generating your own personal lead that is EXCLUSIVE ONLY to you! If you want to be in greater control of what prospects are seeing before you call them and essentially generating your own exclusive leads, then Real Time Traffic is perfect! Will Real Time Traffic work for you? First of all, you need a website. You either need your own website (best), or a website that your network marketing company provides you with. Second, your website needs a landing page. Some people call them "Squeeze pages." This is the page on your website where we will send your traffic. You need an opt-in form so a prospect can request more information. You need your contact information on the landing page. It is recommended you have a nice video or audio on your website. Brief. Enough for the person to want more information. It is recommended you have a call to action. You need to tell the prospect what step they need to take next. Our Real Time Traffic is the #1 guaranteed visitors and traffic source for the network marketing industry... superior to any "clicks" or other traffic source. You will get more opt-ins and better results with RTT... Why? Because it starts with better sources through our professional home business portal, and we will give you the IP address and Time and Date stamp so you can track the visitors through your own analytics service. Control Traffic Delivery - Receive Traffic when you want them! Set Daily Delivery Cap - Maximum visits you want per day.